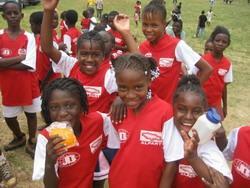 Projects Abroad volunteers are involved in coaching sports to school children in six of our destinations. They are engaged in sports like football and basketball - established favourites in their own countries; where skills learnt playing back home can really benefit the development of the sport in a new country. Football in Cambodia is one of our proudest examples of this type of School Sport project. Volunteers are also involved in popular national sports, where even young children will have the basic skills and enthusiasm for the game, having played the sport from probably the moment they could pick up a bat! All volunteers must also be prepared for the tables to be turned on them when the children decide it's time for you to learn one of their sports; a spot of Mongolian wrestling for example, or a lively game of the Indian favourite Kabbadi! Mongolia - Coach Football, Basketball, Volleyball and Table-Tennis in schools in and around the capital Ulaanbaatar. Peru - Coach Volleyball, Basketball and Football in schools in the Sacred Valley of the Incas. 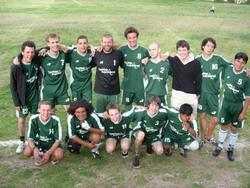 South Africa - Coach Basketball, Football, Softball, Cricket, Rugby in the Cape Town.